The cupboard I bought at Mt Buffalo last month is now restored. 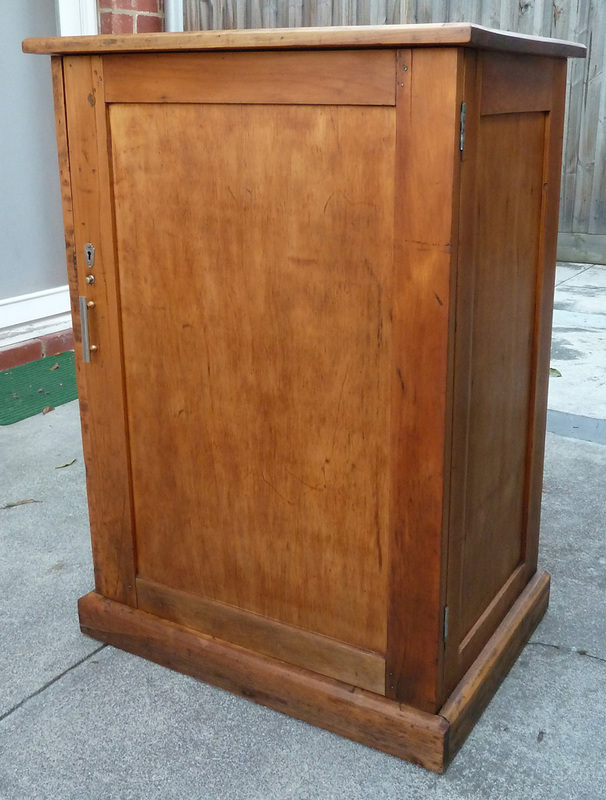 It took quite a bit of effort for a piece of furniture that is – honestly – not the most brilliant example of cabinetmaking. 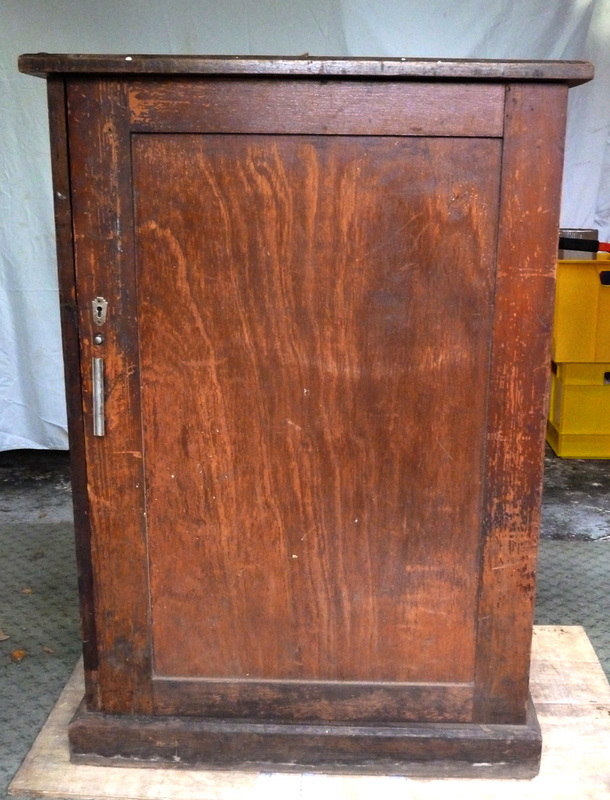 It’s hard to imagine what this cupboard would have looked like when it was originally built. There are tell-tale signs that it wasn’t ever intended to be a fine woodworking piece. The cabinet top has a narrow strip of joined wood running across the back edge, as though someone ran out of the right timber, and the whole top has been nailed straight onto the carcass. There are odd gaps and bad joins around the base of the cabinet and the interior varnish has been applied sloppily. At some stage at least one of the shelves must have been refitted. And the door looks like it got opened back too far one day and it split – it was repaired with glue and nails. Still, the cupboard is part of the Mt Buffalo Chalet story and that makes me happy.